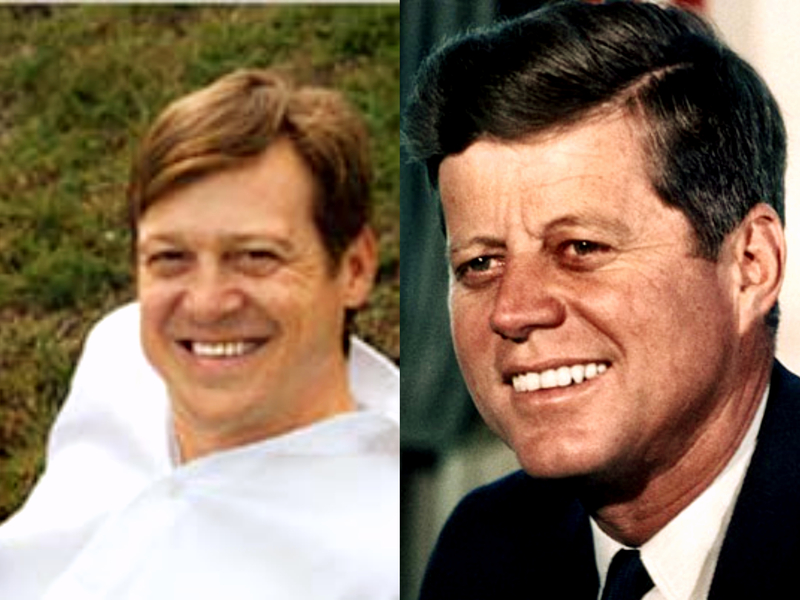 Meet Jack Worthington: a man who claims that he is the love child of none other than President John F. Kennedy. When I first saw him my mind went into a state of shock: he bears a greater resemblance to JFK than John Jr., I’d thought. A cold shiver ran down my spine at the thought of him being the potential step brother to Caroline and John. And of course I didn’t want the inevitable to be true. I didn’t want to think that JFK had another son, that his philandering had gotten to such an extent. I’ve read from sources that he had an abortionist and whatnot and had been very careful (in addition to his father) about leaving footprints. Based from some very well-known Kennedy blogs on Tumblr, none of them seem to be too shocked about the matter, thinking that it’d be no surprise considering how much JFK had horsed around. I don’t know about you but when I heard about this scandal it just made me really miss John Jr. since he’s the only known son of JFK. Not to mention he’s just one of the most humble and charming celebrities I’ve ever seen. Not many celebrities are like him nowadays. 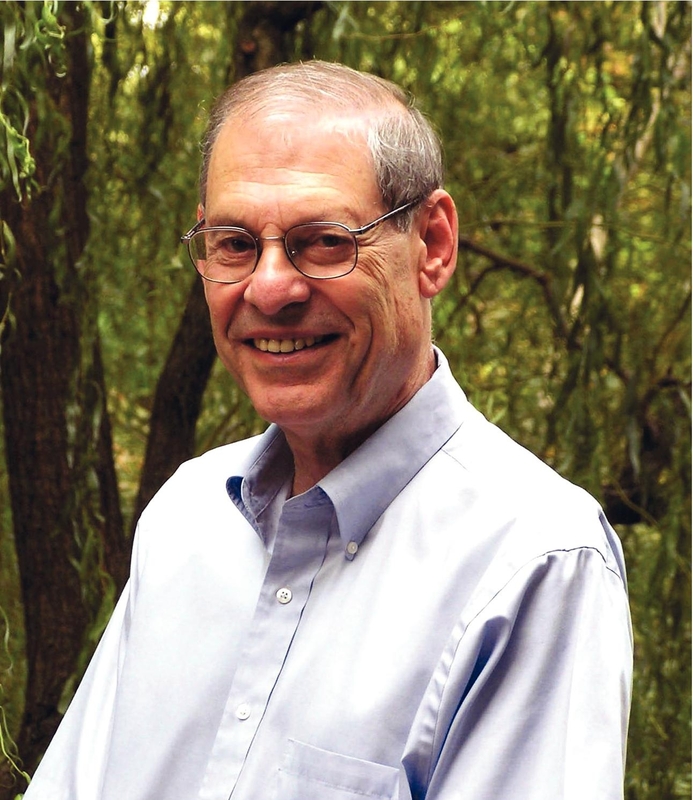 Robert Dallek: well known historian and Kennedy expert, the guy that I usually see all the time in JFK documentaries and interviews. I am extremely excited to have begun reading his well-acclaimed novel “An Unfinished Life”. Just a couple of days ago actually, I’d read my first biography on JFK Jr. (it was amazing, as expected). While reading “An Unfinished Life” however, I came across some characteristics about JFK that reminded me of some of JFK Jr.’s characteristics when I’d finished reading his biography days earlier. Of course, it’s no surprise to find similarities between them. 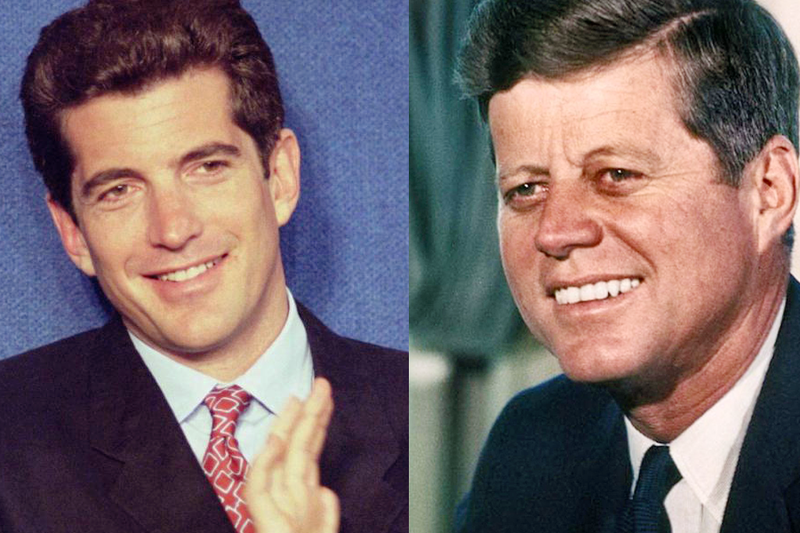 But I just absolutely love seeing or pinpointing the resemblances between a father and his son, so I just want to take a moment to share with you guys the similarities that I’ve found so far between John F. Kennedy and none other than his namesake, John F. Kennedy Jr. Don’t hesitate to share other similarities not mentioned as well! The two may bear of little resemblance: JFK with his sandy red hair and blue eyes, John-John with his dark hair and chocolate brown eyes. But of course, that’s just looks. JFK had spent a portion of his teenage years at a boarding school called Choate. Multiple roommates would speak of how messy his room would be, clothes piled up in a corner. He’d been extremely disorganized and had a tendency to lose things. Similarly, JFK Jr. also had a horrible habit of losing things. He’d even had to put his keys on a chain to prevent him from losing them. But being the accident-prone guy he was, he would instead accidentally whack himself in the face with the keys. In addition, JFK Jr. excelled at sports rather than academics, just like his father. The two of them got mediocre grades during school, and were both horrible spellers. JFK Jr., who had dyslexia, many times felt discouraged about his schoolwork. Jackie however, would rest assure him that he would overcome his obstacles. After all, his father had also been a horrible speller but he ended up becoming president of the United States. What really struck a chord in me though was JFK’s decision to attend Princeton at the beginning of his college career instead of Harvard, which was where his father and his competitive older brother attended. JFK Jr. had chosen Brown University instead of the Kennedy’s trademark Harvard. The Kennedys are known for their daredevil and reckless personalities. 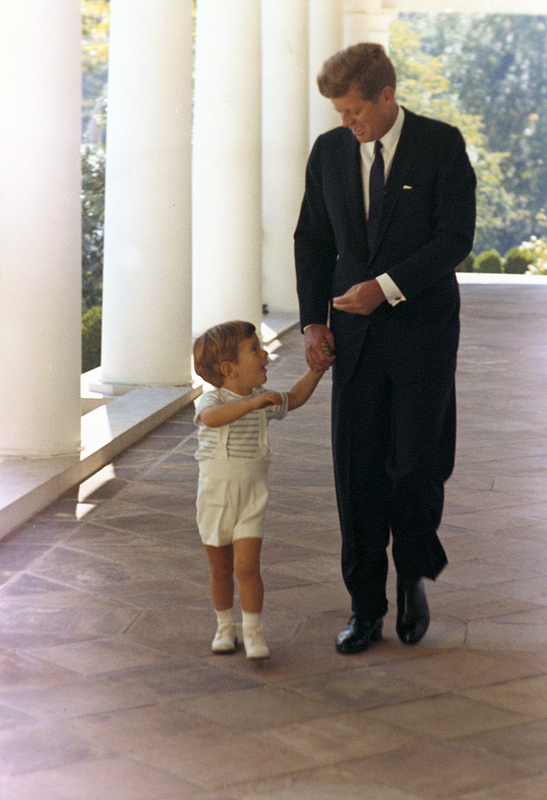 Instilled within them are a sense of rebelliousness, and it was evidently clear that JFK had passed that very trait onto his son. Of course there are other miscellaneous similarities such as how they both never had real trouble getting girls, their instant appeal towards the media, and how they both loved the sea. Maybe it was these similarities that made the public so hopeful for America’s Prince. The King’s life had been cut short, his potential diminished. America was left to wonder if the Prince himself would take over the throne, bring Camelot back to its former glory and glamour. But unfortunately, his life had been cut short also. Hey. That’s another similarity. Golly gee. I seriously just realized that. Wow. On a brighter note, been addicted to John Legend’s “All of Me” ever since his breathtaking performance on The Grammys. Genius.